In late 1769 Captain James Cook first reached New Zealand, charged with charting the area. Peter Elliott chronicles Cook's journey in this award-winning four-part series. 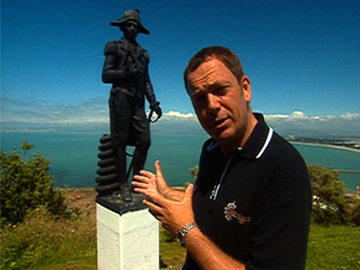 This first episode looks at his first encounters with local Māori, on the east coast of the North Island. 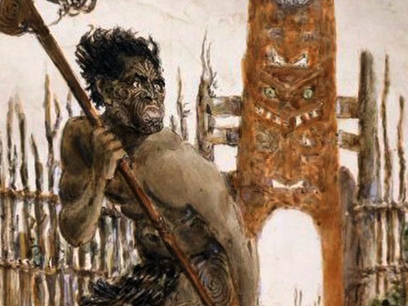 While some greeted Cook with pōwhiri, others took exception to the murder and kidnapping the Europeans brought in spite of their declarations of peace. Amongst the locals Elliott meets on the coast is a young sailor in Tauranga who bears a striking resemblance to America’s Cup winning sailor Peter Burling. 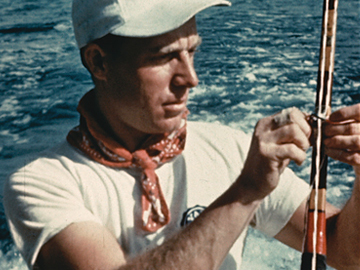 Made for the New Zealand Government Tourist Bureau by independent company Neuline, this 1950 film promotes “New Zealand’s big-sea fighting fish” as an overseas tourist attraction. First stop is Mayor Island near Tauranga, then it’s off to the Bay of Islands to land mako shark and marlin. Neuline was one of a handful of independent production companies in postwar New Zealand; Neuline boss Robert Steele pioneered the commercial use of 16mm film here. 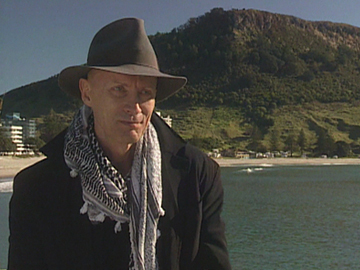 Although the narration purports to be that of an overseas visitor, it is actually Selwyn Toogood, who narrated many of Steele’s films. National treasures The Topp Twins (aka twins Lynda and Jools Topp) have performed as a country music singing comedy duo for more than 25 years. 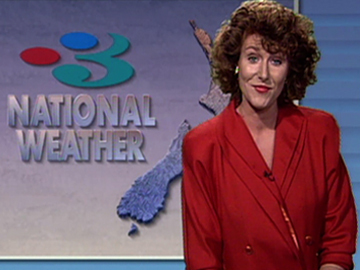 In the late 90s they appeared on their own TV series, which ran for three seasons and showcased their iconic cast of Kiwi characters. These excerpts from series one feature a Topp day at the beach where a beefy Mount Maunganui lifeguard rubs lotion onto Lynda's body; and Camp Leader competes in a Tauranga triathlon. Her unconventional swimsuit includes a neon pink buoyancy aid, and jelly sandals for running shoes. 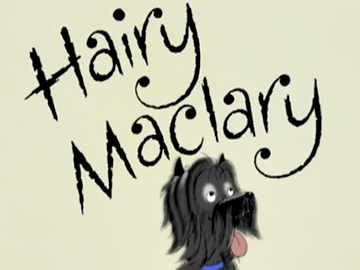 Based on the chldren's books by Lynley Dodd, this show follows beloved dog Hairy Maclary on his adventures in the neighbourhood. Opening with the theme tune familiar to many Kiwi families, this is Hairy's first screen adventure, introducing his canine mates — Schnitzel von Krumm, Bottomley Potts and Muffin McClay — and his tomcat tormenter: Scarface Claw! Actor Miranda Harcourt narrates, capturing the rhythms of Dodd's prose that have seen the stories sell in the millions since they first appeared in 1983. 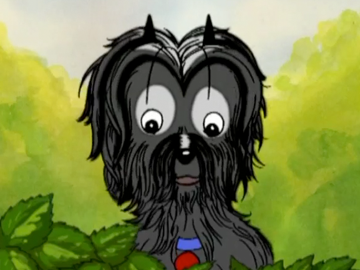 The 10-part series was animated by the late Euan Frizzell. 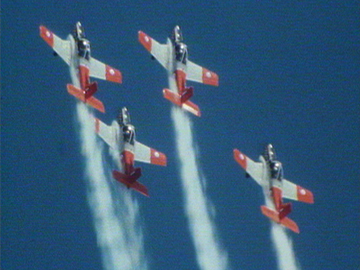 This 1985 TVNZ documentary follows the recruitment of three new pilots into the Red Checkers acrobatic flying squadron of the Royal NZ Air Force. The pilots train to fly formations, loops and low level passes. There are close calls, and interviews with pilots and their spouses. What does it take to be a Kiwi Top Gun? 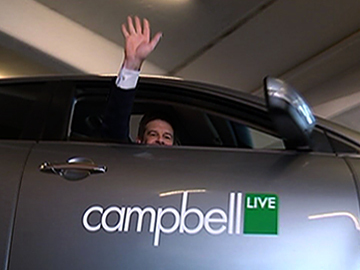 Squadron leader (and future NZ Defence Force chief) Bruce Ferguson: "he's got to have confidence in himself, his abilities and to be a wee bit of a showman." The documentary marked one of the earliest directing credits for Emmy Award-winner Mike Single.